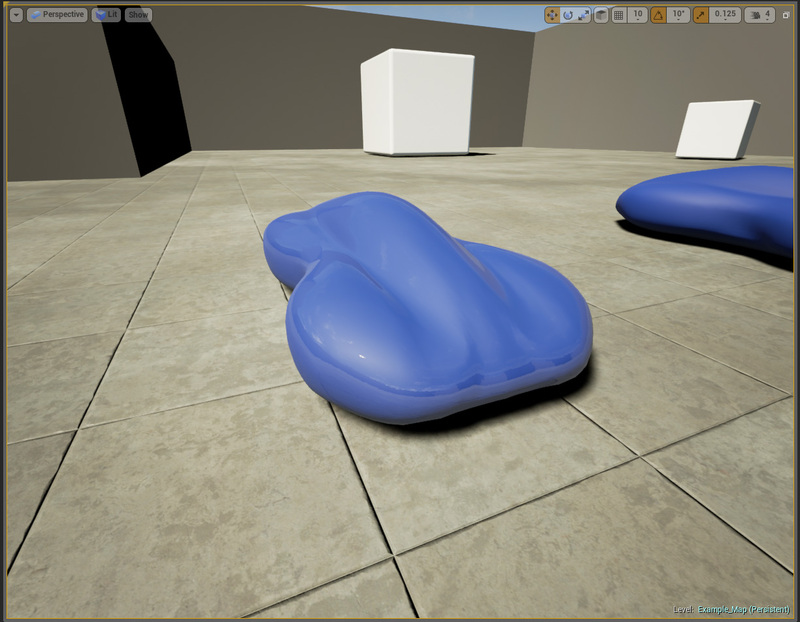 After testing a few methods, I have developed a pretty decent car paint shader. There is a lot more work to be done for it. It's not particularly adaptable. It takes a very specific environment to make it look this way. Its also not very well optimized. These shortcomings ironed out in the next couple of weeks while I start work on the first phase of the playable portion of the project. 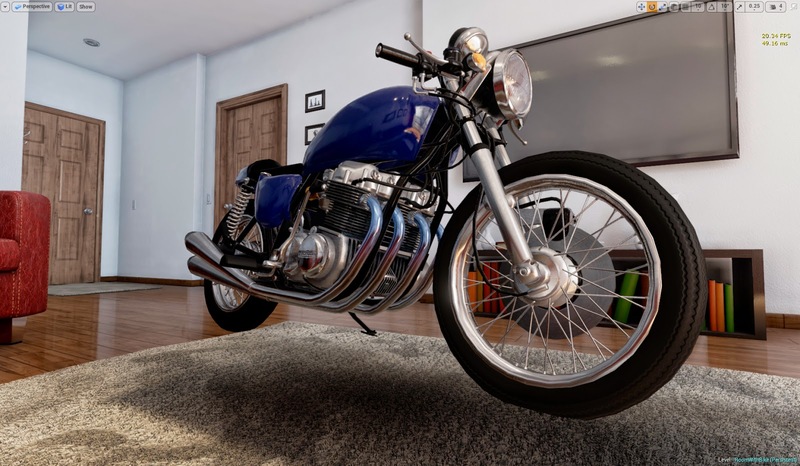 The customization garage. 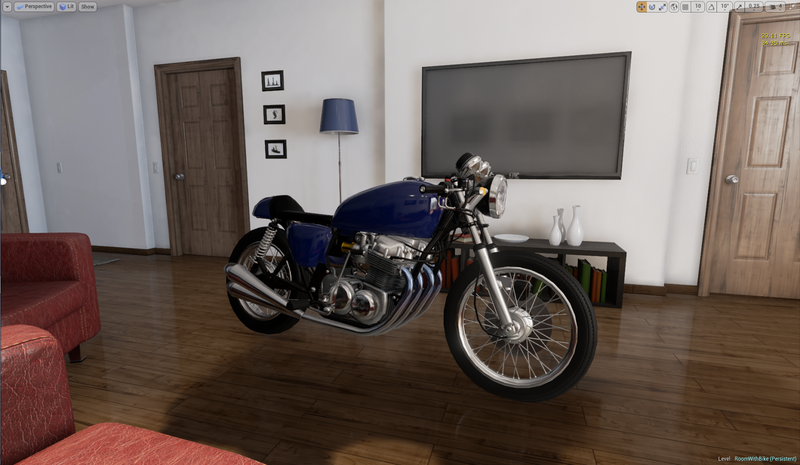 I have been loving UE4 so far! The UI makes life easy, the tools are powerful, and the documentation has been incredibly useful so far. I wish I had every hour of every day to spend learning the system better and building Cafe Races. 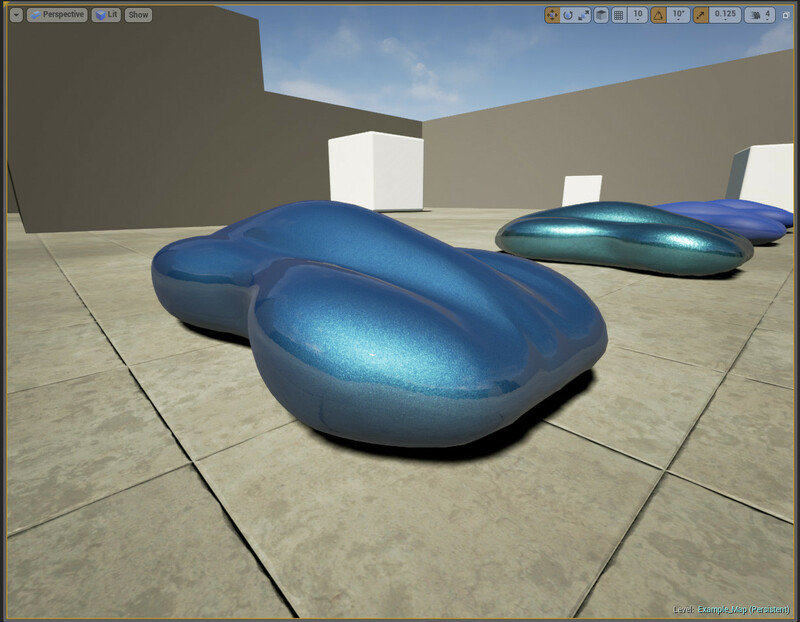 Here are a test for the new shader systems. 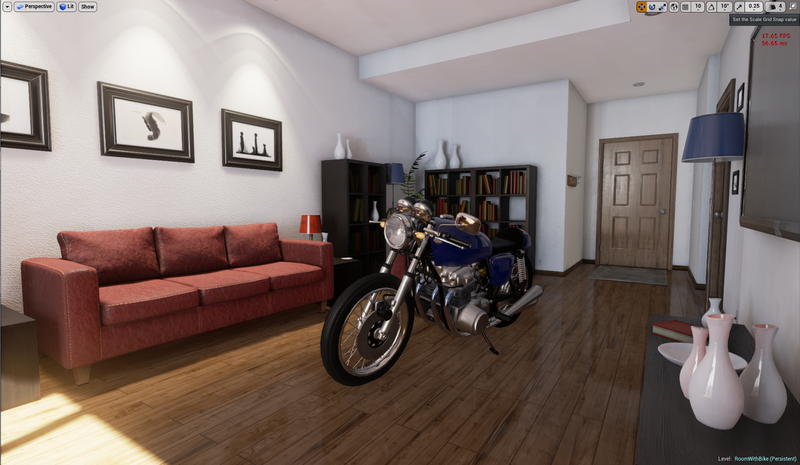 I'm still developing the base shaders which will be used for all the bikes. 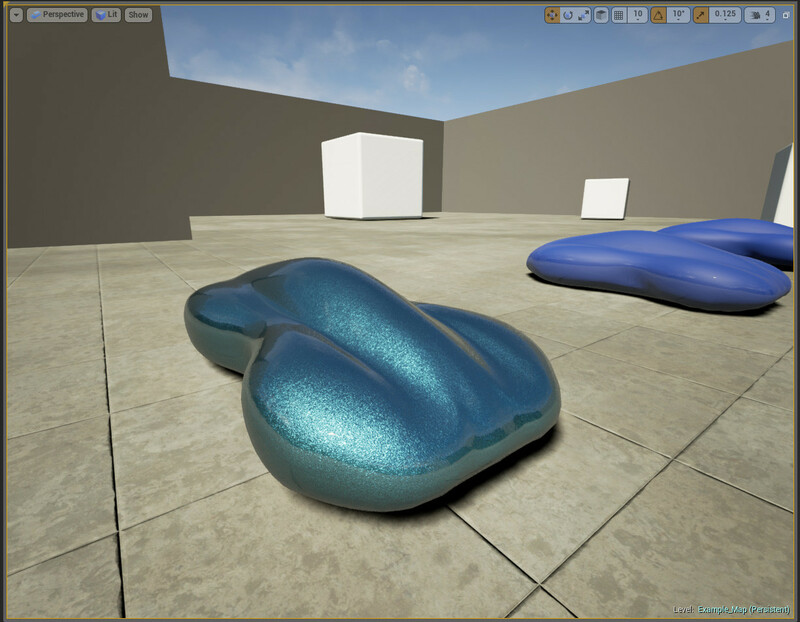 Reflections which used to cause weeks of work and countless headaches in Unreal 3, are all integrated perfectly this time around, so I can spend a lot more of my time focusing on other aspects. Better car paint and flake coming soon! 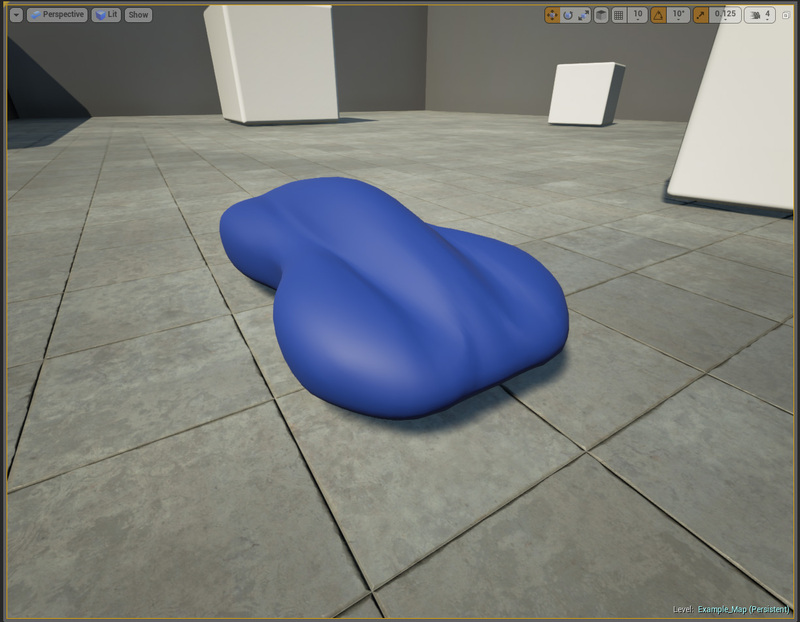 Just as soon as I can construct a multi-layered, multi-functional shader.